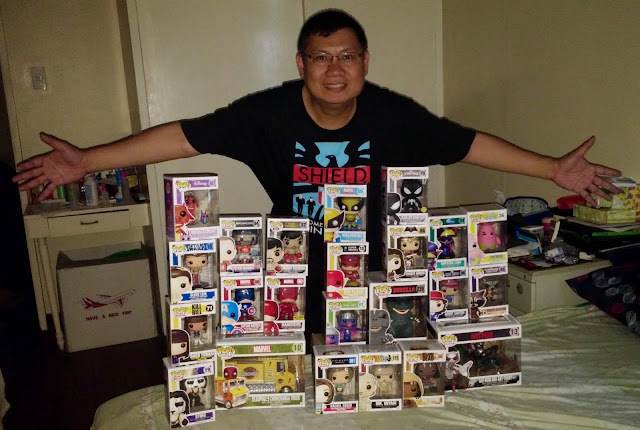 thebackingboardfiles: My Funko Pop collection. 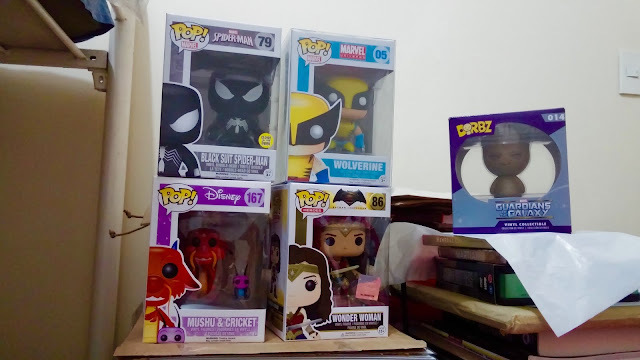 My Funko Pop collection! Mushu and Cricket (Mulan), Slave Leia (Star Wars), Gogo Yubari (Kill Bill), Sting (WCW/WWE), Peyton Manning (NFL), Manny Pacquiao, Captain America, Daredevil, Deadpool's Chimichangas Truck, Wolverine, the Flash, Super Grover, Rachel Green (Friends), Black Suit Spider-Man, Wonder Woman (Dawn of Justice), Godzilla, Mr. Miyagi (Karate Kid), Michonne (The Walking Dead), Emperor Zurg, Patrick (Sponge Bob), Agent Carter, Rocket Racoon, Ant-Man and Ant-Thony. Black Suit Spider-Man, Wolverine, Mushu & Cricket, Wonder Woman and a Dorbz Groot. 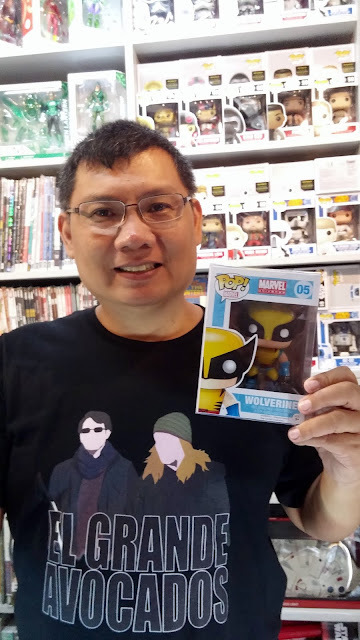 Not in the pictures are my Pops of Pau Gasol (Los Angeles Lakers), BB8, and Groot. Hope this really isn't the end! X-Files forever.